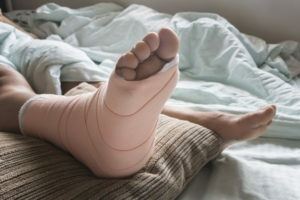 What Are Slip and Fall Accidents - The Law Office Of Richard J. Banta, P.C. If you are the victim of a slip and fall injury, one of the very first things you should do is find a trusted lawyer who can help you throughout the litigation process. Here at the Law Office of Richard J. Banta, P.C., we have helped Denver CO residents with many cases, seeking restitution for their injuries and their pain and suffering. Having been a well-known law firm in Denver CO for many years, you can trust that we work with our clients’ best interests in mind. It’s important to note that many of these hazards do not necessarily give someone grounds to file a premises liability lawsuit. If the injured victim knew (or should have known) about the hazard, they likely won’t have a valid case. Many businesses place warning signs near potential hazards to keep passersby safe — and to avoid facing a personal injury claim if someone is injured. If you have fallen in your home and are a renter, your landlord may be held responsible for your injuries if they neglected to take care of a utility, fix a floor issue, or attend to another valid complaint while you occupied the space. Sometimes they may try to blame an occupant for the accident to save money, so it is key that you hire an attorney to prevent this person from taking advantage of you. An important part of any personal injury claim is being able to prove that the accident directly caused an injury or worsened an existing one. Keeping a detailed list of all your injuries, along with an evaluation from your health provider, will provide valuable evidence of your injury. At the Law Office of Richard J. Banta, P.C., we will likely start off by getting to know you a little better and go through all the details about how your accident happened. If you determine that our Denver CO team is the right fit for your case, we may help you understand exactly a slip and fall entails, gather evidence for your case, assist with your claim, and meet regularly to discuss the progress of your case. Please do not hesitate to reach out today to speak with a premises liability lawyer Denver CO residents know and trust. Your first consultation with the Law Office of Richard J. Banta, P.C. is completely free, so you have nothing to lose by making an appointment with our legal team. Please call or email us today to get started.